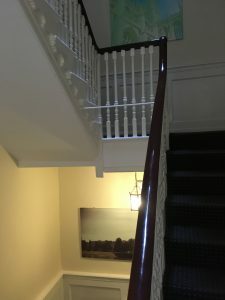 We were called in to design a structural solution to a ‘bouncy’ staircase’ in this Grade I listed Georgian building at the heart of Bath. The central grand staircase, originally designed for light domestic use, had over time become potentially dangerous due to the number of Bath Building Society customers now using it. Liaising closely with conservation officers, Nick identified where the joints were failing in the original staircase and worked with a structural engineer to design a solution that strengthened the structure. 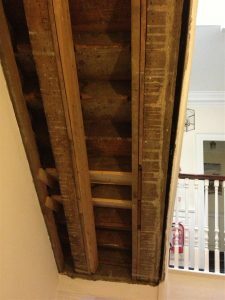 This enabled the original staircase and plasterwork to be retained, leaving little external trace of the work done – except some much less bouncy stairs! Finished staircase, good as new!